Manglam Medikits Pvt. Ltd. has gained regard among the prominent Manufacturer, Exporter and Importer of best quality Hospital Consumables and Disposables Products within the few years of its incorporation in 1987. We are offering a large assortment of Disposable Gloves, Finger Cots, Disposable Shoe Cover, Disposable Cap, Surgical Gown etc. The offered products are designed using quality tested components by our talented professionals. Offered products are highly admired for their lightweight, wear and tear resistance, skin friendliness and long service life. Our state-of-the-art infrastructure facility is categorized into various parts. Holding their specific responsibilities, these units are quality controlling, processing, warehousing & packaging, logistic and administrative. Further, to meet the needs of the patrons, we are offering this array in various size options. Our professionals have deep knowledge to cater to the needs of clients. In order to keep them updated with modern market developments; we regularly conduct training sessions and workshops. Also, we have a long list of clients. Some of them are Fortis Hospital, Asian Institute of Medical Sciences, Rockland Hospital Limited, Maharaja Agrasen Medical College, PGIMS Chandigarh, Metro Hospital and Moserbaer India Ltd. We import and export our products to various countries such as Malaysia, China, Indonesia, Thailand. Manglam Medikits Pvt. 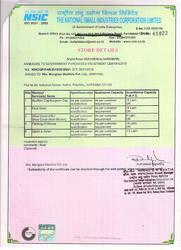 Ltd. was established in 1987 with the guidance of Mr.Shiv Kumar Mangla. 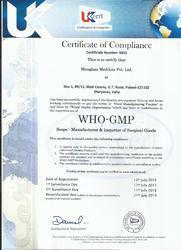 Our Company is importing Examination and Surgical Gloves (Nitrile, Vinyl, Latex) etc. Our Company is manufacturing on large scale medical disposables i.e Face Mask, Shoe Cover, Apron, Gown, Surgeon Cap, Buffet Cap etc. Our Company is fully dedicated to providing the top quality product with customer satisfaction. We are having a big network PAN India. Our mentor, Mr. Shiv Kumar, is instrumental in our success of this domain. His in-depth and sharp knowledge and industry experience have enabled us to garner a huge clientele. We are one of the prominent manufacturer, exporter and importer of the best quality Disposable Gloves, Finger Cots, Disposable Shoe Cover, Disposable Cap, Surgical Gown etc. Our motto is to provide the best quality with customer satisfaction. 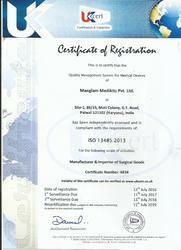 Adhering to international certifications like ISO:13485, C.E, FDA, ISI we are committed to excellence. From the beginning of our enterprise, we are known in the industry for providing our honorable patrons with qualitative range of products. It all has become possible due to our advanced and pioneering infrastructural unit. This infrastructural facility has assisted us to meet the exact needs and necessities of our honorable clients. We have equipped our infrastructure with sophisticated machines, tools and equipment for catering the bulk demands of our prestigious customers within short notice. We have also divided our infrastructural facility into different sections such as manufacturing section, designing section, quality control section, etc., in order to expedite the pace of production process.